A bit of learning for this Monday. 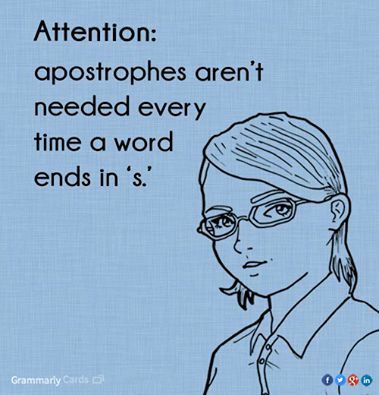 Those apostrophes can be tricky. This entry was posted in Grammar on June 30, 2014 by kellykoepke. 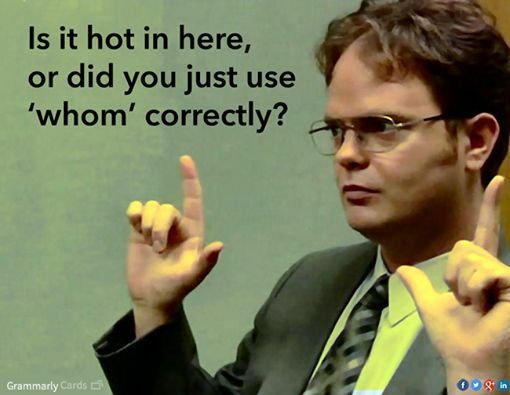 A perfect way to turn up the heat. This entry was posted in Uncategorized on June 27, 2014 by kellykoepke. 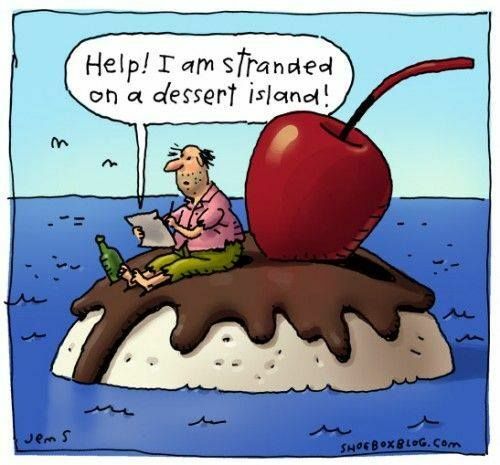 Living in the desert, I kinda like the idea of a dessert island. This entry was posted in Grammar on June 26, 2014 by kellykoepke. 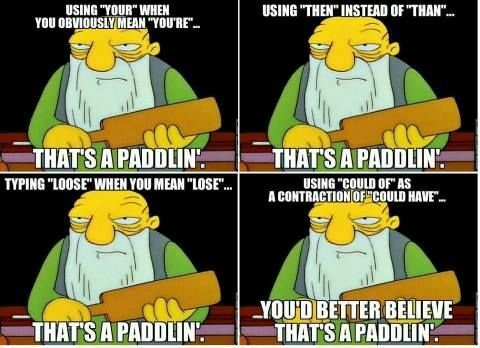 I’d have called it a whoopin’ rather than a paddlin’, but whatever. This entry was posted in Grammar on June 25, 2014 by kellykoepke. 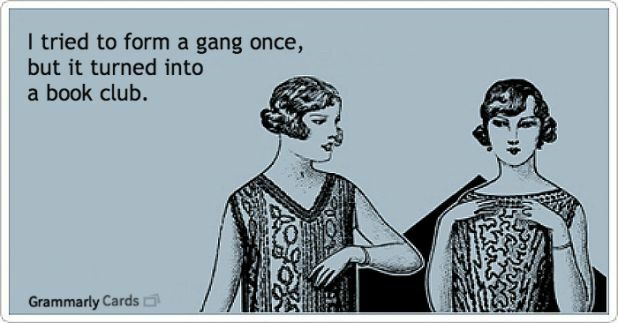 The only gang fit to join, IMHO. This entry was posted in books on June 24, 2014 by kellykoepke. Need help figuring out the difference between i.e. 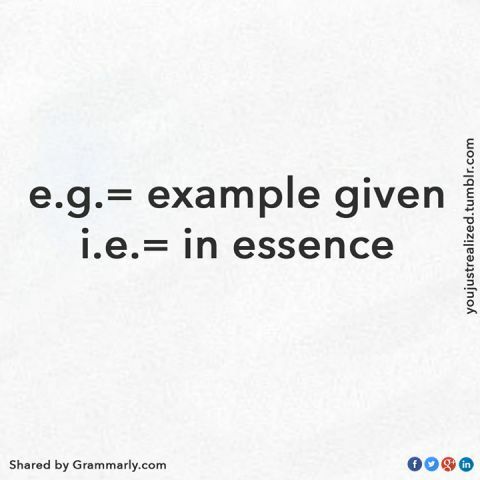 and e.g.? You’re welcome. This entry was posted in Grammar on June 23, 2014 by kellykoepke. 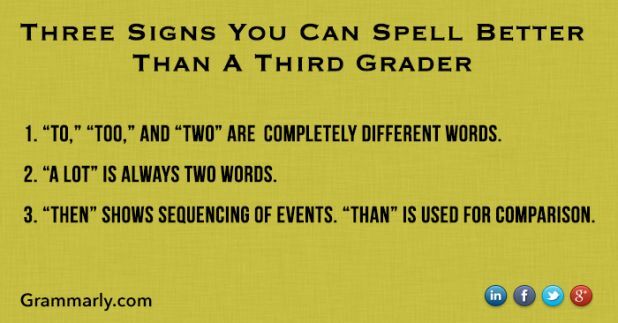 Can you spell better than third graders? I can help. This entry was posted in Grammar, Uncategorized on June 20, 2014 by kellykoepke. 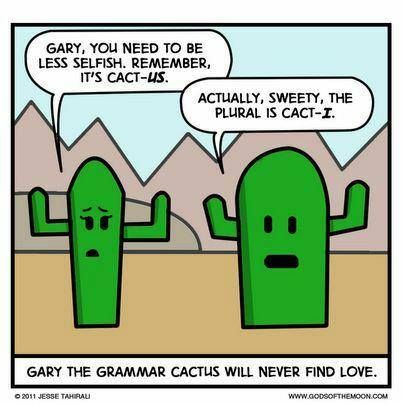 You say cactuses, I say cacti. Let’s call the whole thing off! This entry was posted in Uncategorized on June 19, 2014 by kellykoepke. 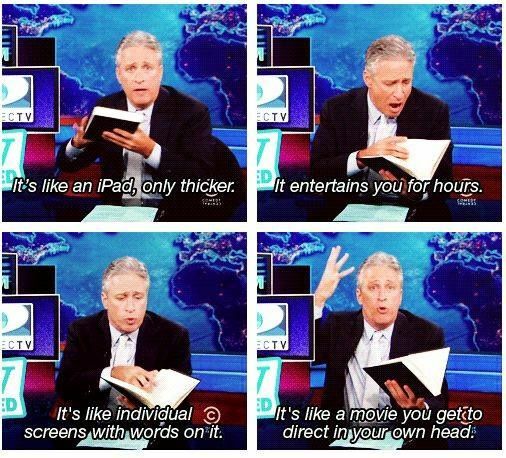 A little nerd humor. 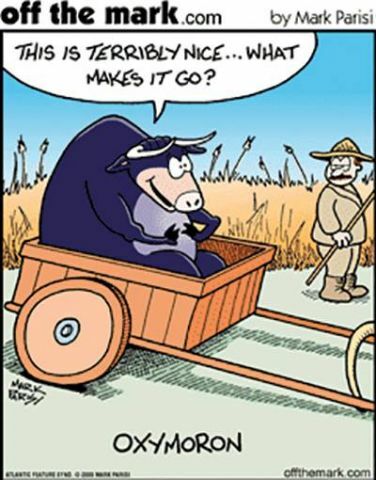 Oxymoron ox! This entry was posted in Uncategorized on June 18, 2014 by kellykoepke. This entry was posted in books, Uncategorized on June 17, 2014 by kellykoepke.